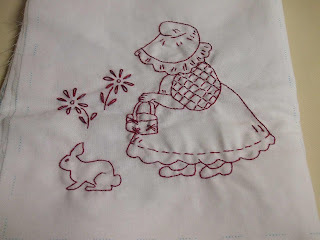 Fee's Little Craft Studio: Do You Like Redwork? I do !!! 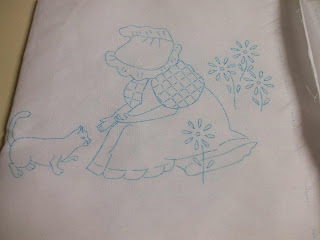 I recently began to stock these fantastic Pre-Printed Stitchery Blocks in lots of different themes and have begun to stitch one for myself. Each Kit has 12 X 9" Blocks inside that are all pre-printed on quality broadcloth. They are so easy to do. This is how it is going to look when it is all finished. As I now have 2 grand daughters I may well have to make two. Pop over here to see all of the different "Kits" available. Tomorrow I am going to tackle my sewing room and will be back with some "tidy" pics. 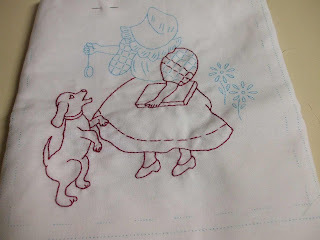 Let's hope I find my mojo whilst I am there as next week I will have to stop stitching for 4 whole weeks - More on that later. 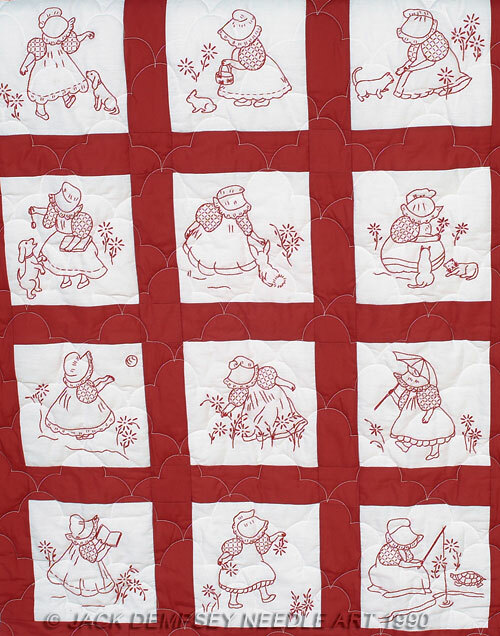 I love redwork Fee... this quilt (or maybe quilts) will be gorgeous. 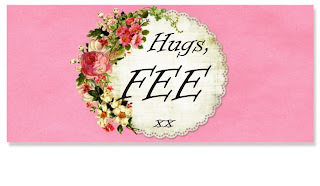 Such cute designs! I love redwork...yours looks great! They look great done up as a quilt. 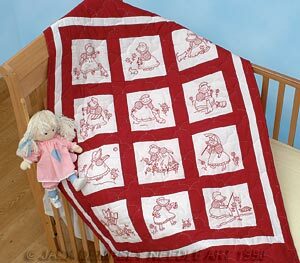 I love redwork.that quilt looks great! That is too darling!!! Stop stitching for 4 weeks - oh my - I hope it's for a GOOD reason! come on by if you're looking foe more. 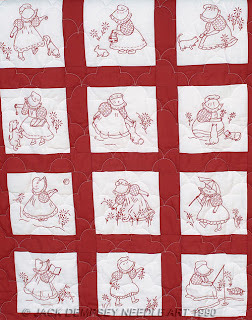 I love redwork, and that quilt is just so pretty. You really are going to have to make another one. Hi,I've been working on the same pattern. I've put it on a tea towel.